When five colleagues are forced to go on a corporate retreat in the wilderness, they reluctantly pick up their backpacks and start walking down the muddy path. But one of the women doesn’t come out of the woods. And each of her companions tells a slightly different story about what happened. How do you follow up a debut that was arguably the best crime novel, debut or otherwise, of its year? That's the question facing Australian Jane Harper, who burst onto the scene with the searing Outback-set murder mystery THE DRY, which scooped numerous awards and 'best of the year' accolades, including the prestigious CWA Gold Dagger for the best crime novel in the world last year. In FORCE OF NATURE, Federal agent Aaron Falk is squelching through mud and battling the wintry chill in the Giralang Ranges outside of Melbourne, rather than battling the heat in the parched and drought-striken farmland landscapes of his childhood hometown in THE DRY. His vision is obscured by rain instead of sweat, but he's battling the elements as well as criminals, just the same. Falk and his AFP colleague Carmen Cooper are in the Giralangs, a place with a morbid history, because the hiker missing from a 'team building exercise' was in fact their inside woman for a fraud case their financial crimes unit is building against Bailey Tennants, the company doing the retreat. As they investigate what happened on the multi-day hike, Falk and Cooper uncover a tale of brittle group dynamics, suspicion, and eroding trust. It was an arduous hike for the office workers, and among the mud and strain something went horribly wrong. The four women who walked out say Alice was causing problems then left of her own accord, striking out on her own to get help against the wishes of the rest of the group. But are they telling the truth? Was Alice waylaid by Mother Nature, one of the women themselves, or someone else who is stalking the Giralangs? Harper does another fantastic job creating a brooding, atmospheric tale where nature itself casts a character-like shadow over the storyline. There's an eeriness to the majestic Giralangs, a sense of timelessness mixed with a simmering sense of danger. Falk's own father used to walk these trails, as did a vicious serial killer who hunted his prey nearby. What sort of dangers lurk now? 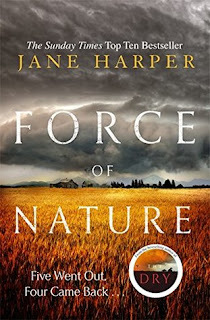 With its isolated and malevolent setting, FORCE OF NATURE is like a modern version of a classic ‘country house’ murder mystery: a dislikeable victim, limited suspects, and plenty of secrets. Overall, Harper's sophomore novel is an absolute cracker, further developing the character of Falk while showcasing the author's great touch for intertwining fascinating plot-lines and powerful landscapes. 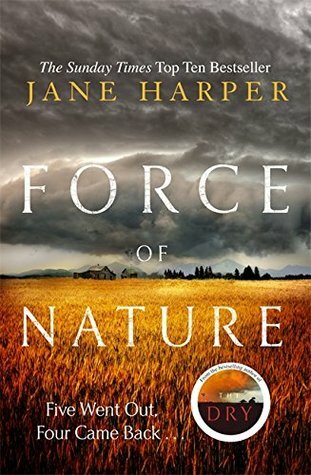 For me personally I'm not sure if FORCE OF NATURE quite reaches the heights of the superlative THE DRY, but it makes a bloody good attempt. It certainly cements Harper as a terrific new voice in global crime writing who won't ever have to worry about being a one-hit wonder. A top crime novel from a top author. More please.